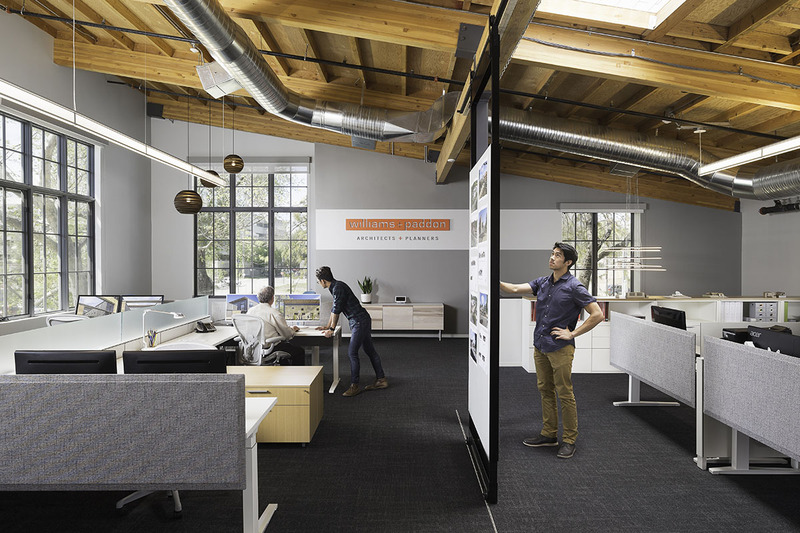 With our midtown office adjacent to Heller Pacific, our team created two separate office spaces with a common zone in the center that includes a large conference room with walls that open to a shared dining counter. 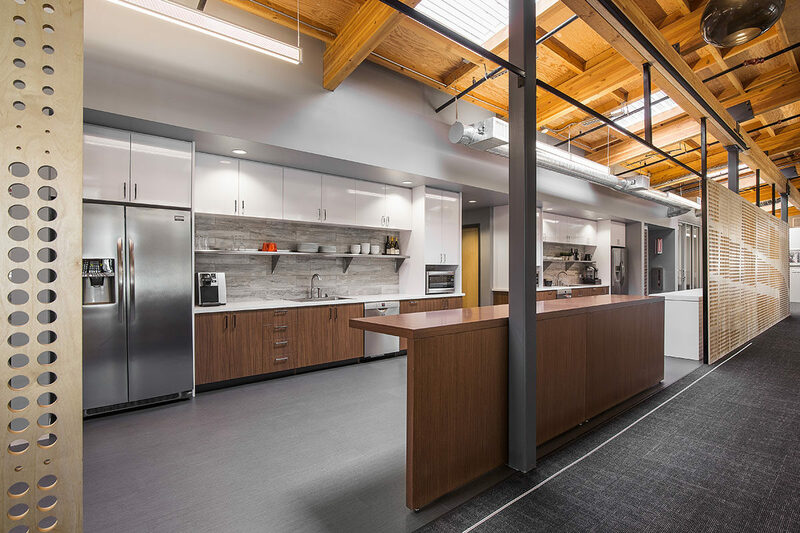 In every space we live, we create a physical connection to our neighbors, reflecting our desire to create and build relationships within our community. 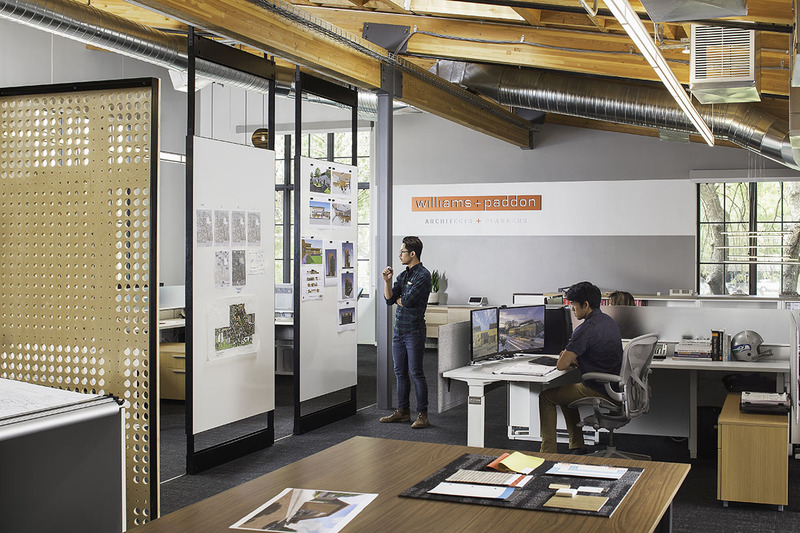 Unique aspects of this space include a perforated plywood screen wall, which serves as a semi-transparent divider, and magnetic marker boards on a sliding track which give flexibility to the space for design charrettes, meetings, and social gatherings.